Wild Good Times at Mustang! Wooooo hooooo and Yeeeee hawwwwwww! Moto has perfected the skill of not spilling his beer while bull riding. 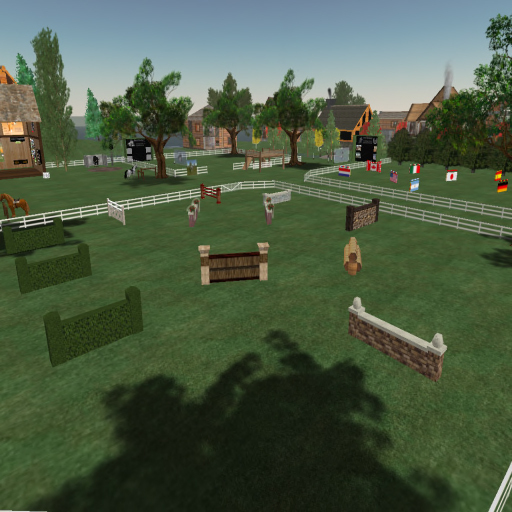 The Horse park features the SL Riding Club’s exclusive authentic barrel racing system, with regular matches and lessons depending on available volunteer crew. Trophy buckles and rosette ribbons are awarded along with occasional prizes from various sponsors. 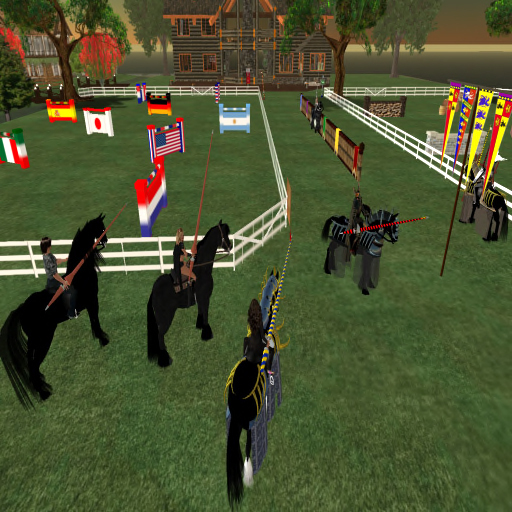 Miranda and Banjo hosted a jousting workshop to assist our crew to ready for Knight and Dame dubbing ceremonies coming up. All BG members are eligible to be knighted, especially staff and crew that do a lot of visitor greeting and assistance. You do need a draft horse for jousting as well as cool armor for you and your steed. Lady Chanta of Utopia will be doing the dubbing, TBA. Miranda and Cindy are busy creating the ceremony grounds, while Tonsea and friend consult on proper dialog for the dubbing. Wild Mustang Horse Park & Equestrian Mall is a build by Bolero Group, sponsored by Utopia and Wild Mustang Estates. 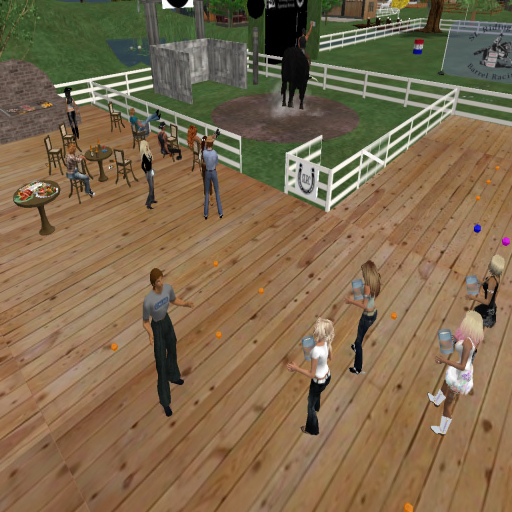 The Bolero Group founded and manages the SL Riding Club, where the horse park is the SLRC’s main showgrounds. In the works are sims to be connected to Wild Mustang Estates for trail riding. 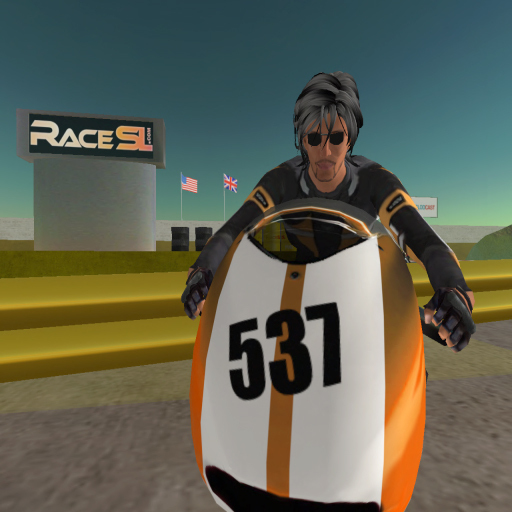 The BG Racing team is getting its feet wet with SL auto, motorcycle, and aero racing! After a little training and practice, A couple of our rookie drivers and some pit crew went to check out a sanctioned track race. Moto reported it was a good learning experience. From that, the team can set guidelines for training and competing. Ken has been helping to develop the team’s racing suits and car support, while Johnnie has been seeking out and testing the best performing models of cars in SL. 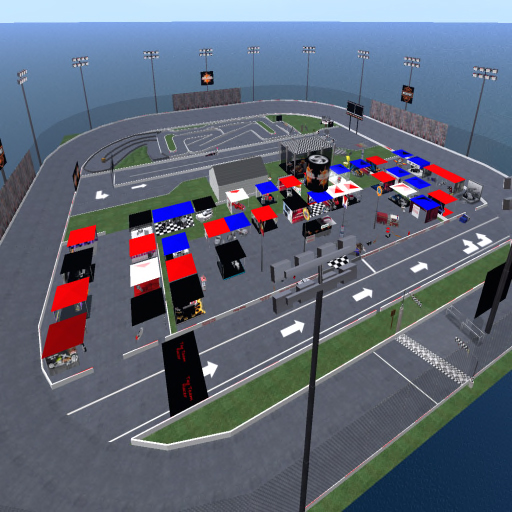 Moto and Johnnie have been compiling a list of known tracks in SL and will soon have that available to team members. BG Racing Team Founder Ineeda Jewell is working at organizing practices, recruiting, training, and guidelines with the support of Kimmy, Moto, Johnnie, Ken, and the rest of the pit crew. If you are interested in participating with the race team, spectating, or listening in on the group channel, ask anyone mentioned above for an invitation to the BG Racing Group. The one requirement all participants and spectators must respect, is descripting your avatar. No bling, AOs, HUDs, and turn Voice off in prefs. These are common rules at most race tracks, especially during sanctioned races. 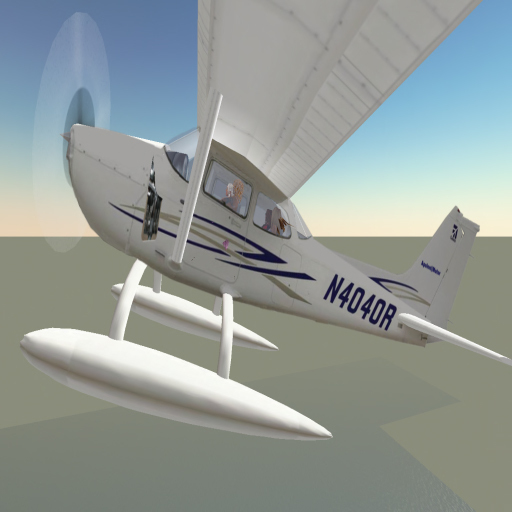 Several new planes, cars, boats, and bikes are becoming available in SL. Apolon’s Cessna 172 and 172 Seaplane (Hydra) are soooo easy to fly! HD Cruiser motorcycles have improved too. Moto mentioned the new bikes are crossing sim borders better here in Azure. 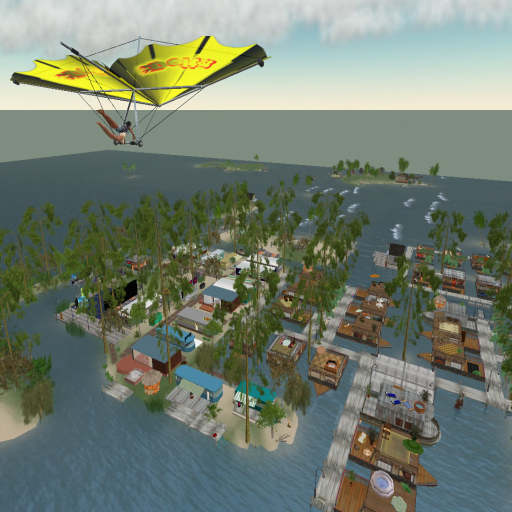 The Delta Hang Glider (Apolon) is a must-have, as well as the Snap Kayak recommended by Johnnie. The only cars that cruise on roads are Apolon vehicles. Most all other cars in SL go too fast and better suited for race tracks. No one’s reported the latest/greatest sailboat, yacht, or speedboat, so if you know of watercraft that are way cool, let us know! Johnnie, Cindy, Lisamarie, and Beverly testing sim crossings with multiple passengers in the new Seaplane. Moto giving flight lesson over Sagittarius. Cindy and Elisabethh hold on while Johnnie and Moto race around The Crossroads! Let’s give a big welcome to our new members! If you haven’t met them already, IM them to introduce yourself! We’d also like to welcome Zephyr Pennell of Lone Star Ranch, who has brought her adorable horses to the SL Riding Club and the Wild Mustang Horse Park. Stop by either location to get a Special Edition Holiday Horse by Lone Star Ranch, and also grab the Freebie sleigh to use with your riding horse. Chanta Graves and her team from Utopia are our new hosts of the Wild Mustang Horse Park. We’ve been working together towards more beautification of the sim, and ready the new rental homes to build a nice community there. Chanta and LoveTrinity also put together fantastic clubhouse lodge by the arenas for gatherings, dancing, and chillin’. Stop by the Wild Mustang Horse Park & Equestrian Mall and take a look at the remodeling of the horse park where Ken, Miranda, and myself gave it a new look, while Robbi continues his support of the arena equipment, despite his commitment to his cool store called Swings N Things. You are currently browsing the The Bolero Group blog archives for January, 2008.